Gzhel ceramics is known all over the world for its unique cobalt color and ornament. Patterns for painting masters learned from nature: grass blades in the field, buttons, flowers in the meadow and in the garden, strong-voiced birds, animals. Gzhel patterns are unique, it is painted by hand. 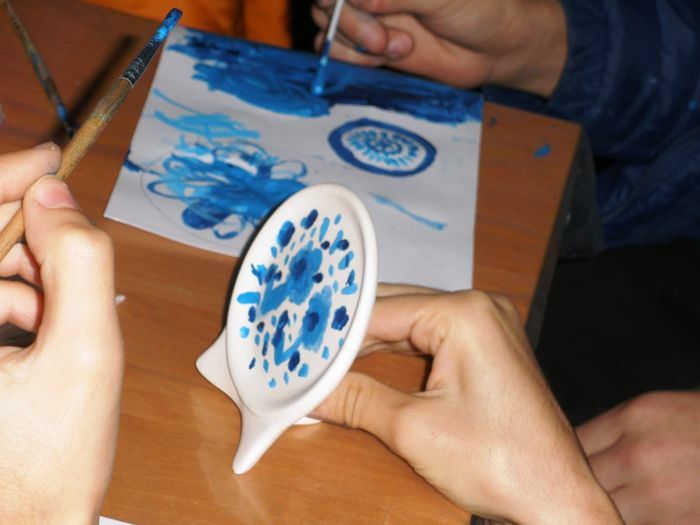 Our guests like Gzhel masters try to paint the white plate with various shades of blue colors.